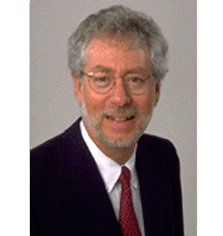 Prior to working with Technology Partners, in the 1980s Ted was President and Chief Executive Officer of Impell Corporation, a company that provided engineering and consulting services. Impell's customers included all of the major electric generating utility companies in the U.S., Europe and Asia; major architect-engineer-constructors; and suppliers to the nuclear power industry. He led the company's growth to a public company with revenue of $100 million and 1,300 employees. While with Impell, Ted was Chairman of a joint venture formed with Pacific Power & Light to develop and market power plant maintenance software, and a director of a company that manufactured and distributed solar power systems. Ted has served on the Board of Directors of the Atomic Industrial Forum and is a former director of Pacific Nuclear Systems, a public company providing technology and services to the world-wide nuclear industry. Previously, Ted served as a nuclear-engineering submarine officer in the U.S. Navy and then worked as a design engineer for the Bechtel Corporation. Ted graduated with distinction from the United States Naval Academy. He is a Registered Engineer in the State of California.